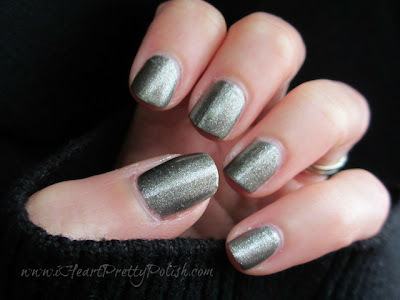 iHeartPrettyPolish: Revlon Carbonite - Chanel Graphite Dupe! Revlon Carbonite - Chanel Graphite Dupe! Revlon Carbonite is a very opaque nail polish. It's unbelievable. 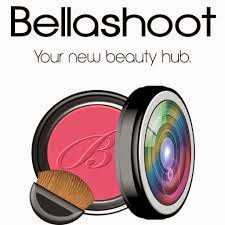 It's so easy to apply and it dries quickly on its own. It dries to sort of a suede finish, so I like to top it off with a top coat to add a little shine. But if you are looking for a suede nail polish, check this one out. Do you have Carbonite or Graphite? I don't own either but this one is so pretty! Yes, I haven't grabbed for it for quite a while but I wore it out tonight for dinner and realized it matched my purse perfectly:) Great Fall color. Sparkly grey! I don't own either, either, tee hee hee, but it looks very pretty. I don't have either, but now seeing a switch, I quite like the texture of it! Yes, it's a unique texture for sure. It is a cool color, isn't it? This is so pretty! It's like a "kicked up" neutral! Simple and classy, but fun! !